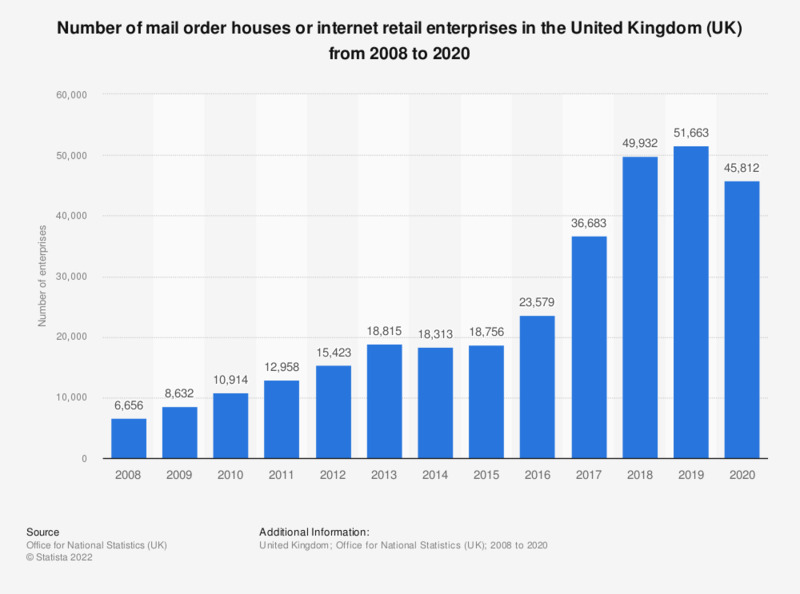 This statistic shows the number of mail order houses or internet retail enterprises in the United Kingdom from 2008 to 2016. In 2016 there were approximately 23.6 thousand mail order and internet retailers operating in the UK. * Enterprises under Standard Industrial Classification (Revised 2007) Division Group Class 47.91 - Retail sale via mail order houses or via internet. This includes sales of any kind of product by mail order or over the internet, internet retail auctions and direct sales via television, radio and telephone. Statistics on "Otto Group "